Thursday will mark the anniversary of a federal program that has benefited numerous undocumented immigrants who arrived in this country as children. Called Deferred Action for Childhood Arrivals (DACA), the program allows them to legally work and stay here temporarily without fear of deportation. There is a hitch, however. Martin Enrique mailed his forms nine days after U.S. Citizenship and Immigration Services (USCIS) began taking DACA applications. A year later he is terribly discouraged. 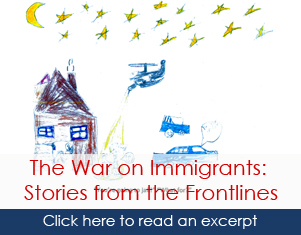 In June, a USCIS officer told him that the agency’s remaining step was to make the decision. Yet every inquiry he has submitted comes back saying his application is pending. Understandably, Martin is tired of waiting. Welcome to the world of DACA backlogs. Since the program began on Aug. 15, 2012, USCIS has approved more than 365,000 DACA applications. These approvals have enabled countless aspiring Americans to follow their dreams. Yet many dreamers who filed early and paid $465 in fees still await DACA and a ticket to a better life. Martin came from Venezuela at age 10 and wants to study business administration in college. His uncle owns a clothing store in Puerto Rico and has offered him a job. But without DACA approval, Martin would risk deportation by traveling to the island without proper ID. Further, he’s not eligible for a work permit, which he needs to legally earn money for his studies. An accomplished achiever, Monica excelled at Miami Dade Honors College. In high school she was Student Government president as well as Junior Class president, and graduated with a 4.86 GPA. She also started two chapters of Best Buddies, a group that builds one-on-one friendships with folks who have developmental disabilities. Her dream is to become a forensic pathologist. Monica applied to several colleges, but was told by some not to bother applying until she had some form of temporary legal status. She was gearing up to enroll at Florida International University this fall. But she needed DACA approval to legally work and earn enough to pay in-state tuition. Without the approval, FIU was prohibitively expensive, and Monica’s dream was deferred. Monica finally was approved on Aug. 13 — 10 months after applying. Carlos Roa was one of four Trail of Dreams activists who walked 1,500 miles to the U.S. Capitol in 2010 to promote immigration reform. Since then, he has completed two years of college and was accepted at the Illinois Institute of Technology. After waiting eight months, he finally got his DACA approval in July. Now Carlos has a work permit for two years and can apply for a driver’s license. Clearly, thousands of young immigrants are desperate. They applied early and properly, but their DACA applications have not been approved. USCIS may lack resources. Nonetheless, there is no excuse for subjecting eligible applicants to backlogs that seem arbitrary with little to no recourse. Cheryl Little is executive director of Americans for Immigrant Justice, based in Miami.